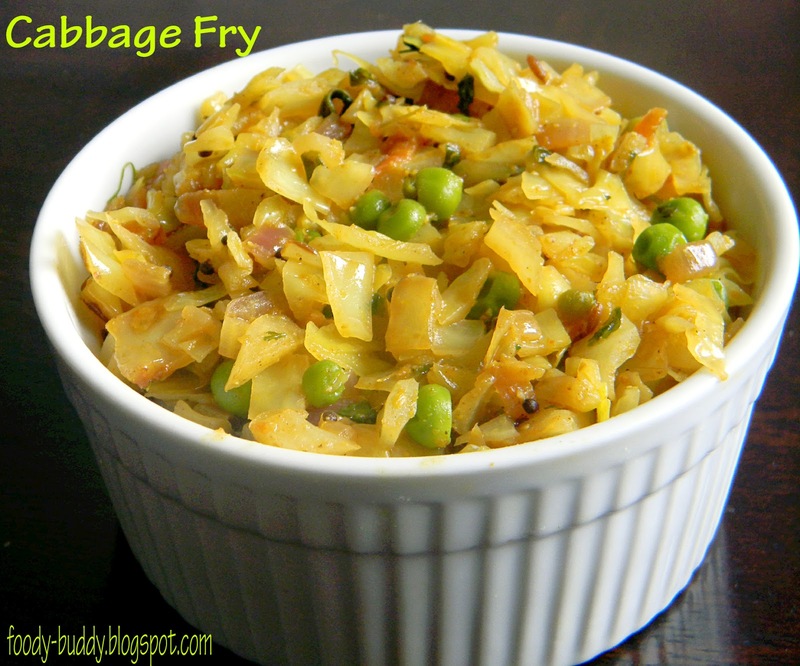 Cabbage is very common in my pantry because you can make different side dishes with carrot, peas or spinach. This recipe is simple and easy to make recipe with the addition of few spices. You can serve it with sambhar rice or rasam or curd rice. Heat a pan with oil and add mustard seeds, after it crackles add cumin, asafoetida and curry leaves, allow it to turn light brown. Add onions, little salt, ginger garlic paste, saute well in medium flame. Add tumeric powder, coriander powder, chilly powder, garam masala and stir well. 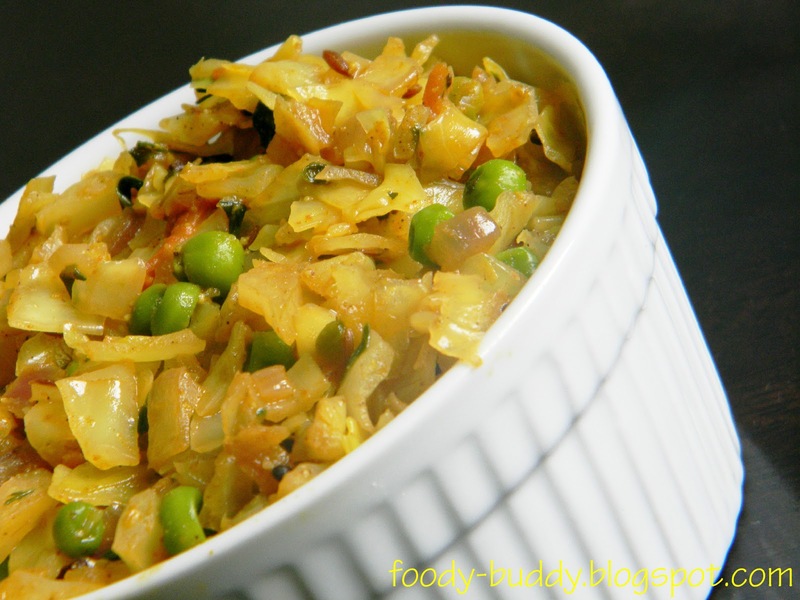 Immediately add Chopped cabbage, peas and mix well with masala. Add required water, salt and cover the lid and cook in medium flame for 7-8 mins. Turn off the heat. You can add grated coconut in the end . Add carrot instead of peas. Left overs can be filled in dosa for dinner. It is a good detoxifier. Being rich in Iodine, helps in proper functioning of brain. It can provide you special cholesterol lowering benefits, if you cook it in steaming.